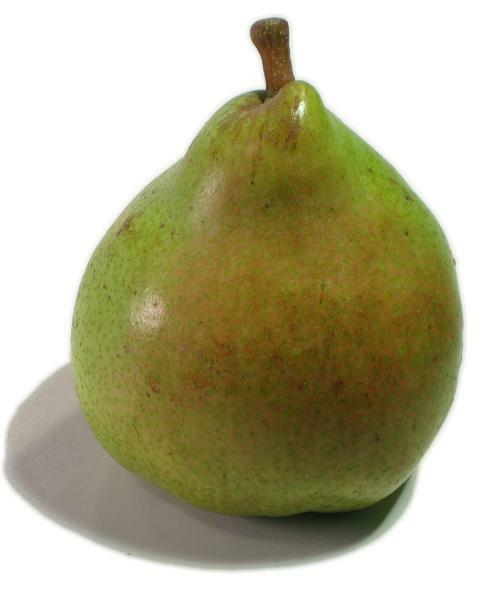 General Information: This large, exquisite pear has a meltingly smooth, sweet flesh and fruit-filled fragrance. It ranges in color from greenish-yellow to yellow blushed with red. Comice are the sweetest and juiciest of all varieties of pears, and are a favorite in holiday gift boxes and baskets. Their flesh is very soft, and can best be described as creamy in texture, abundantly full of juice, and very sweet. For many pear lovers, Comice are the pinnacle of pears. Applications: The sweet buttery flesh of Comice can find no better compliment than when served with cheese, especially soft ripening cheeses like Brie, Camembert, or any of the blues. It is the extreme juiciness of Comice, which coincidentally makes them a poor choice for any process requiring cooking, that earns them such high accolades for eating freshly sliced. History: Known properly as Doyenn� Du Comice, this French variety of pear was first propagated near Angers in the mid-1800's. The first red sports were discovered in the 1900's near Medford, Oregon. A "sport" is a naturally occurring transformation that develops occasionally on fruit trees. Often they are unnoticed, and even when discovered, the resulting fruit is not always commercially viable. The first red sport of Comice, discovered in 1960, presented a somewhat striped pattern. A full-red sport was discovered about 10 year's later, also in the Medford area.